So, I recently played a job on Amelia Island in Florida. I like to see as much of the area I’m playing as I don’t get to travel often as all, and I might as well take advantage of the opportunity if my work brings me somewhere. I didn’t take my Nikon DSLR as I was already carrying not only my saxophone and clothes, but also my EWI, laptop etc. But, I bought a little Canon point and shoot to document the trip. 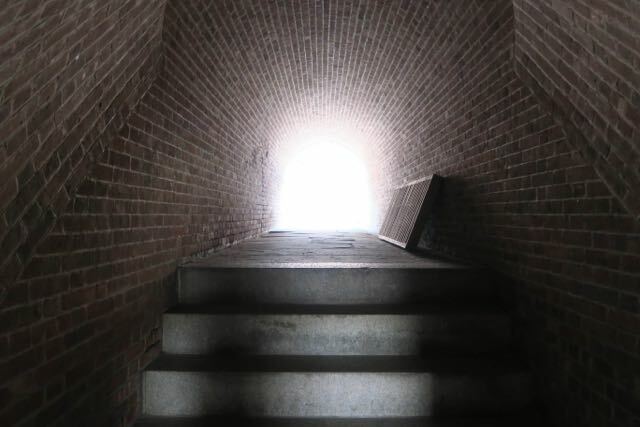 One of the places I went was Fort Clinch. 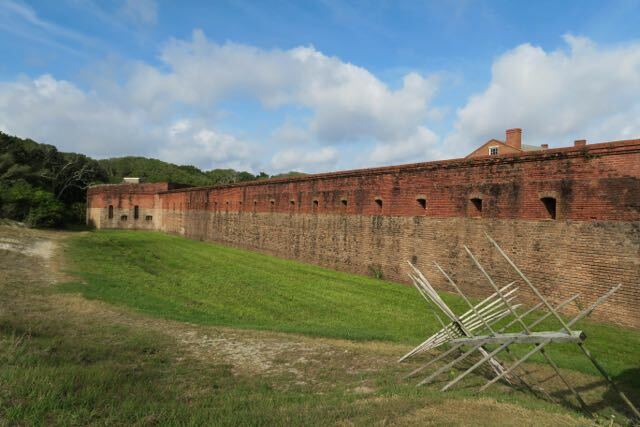 Fort Clinch is 19th century coastal fort located on a peninsula on the North end of Amelia Island. 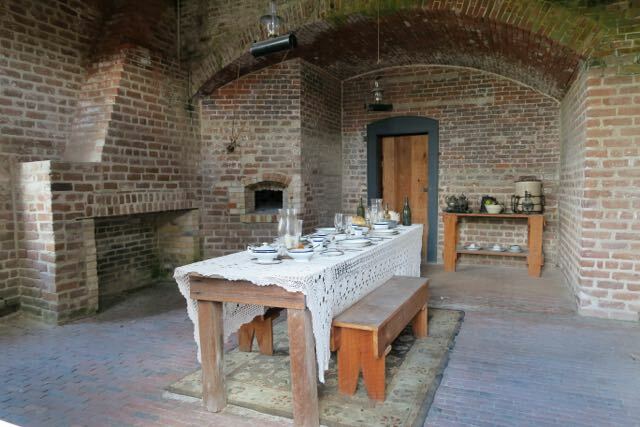 It is now within Fort Clinch State Park. It’s built in a pentagonal shape and it’s comprised of nearly 5 million bricks. It was named in honor of General Duncan Lamont Clinch, who fought in the War of 1812. The Fort was first occupied in 1736 (damn that’s a long time ago) by the Spanish when they had colonies in Florida. 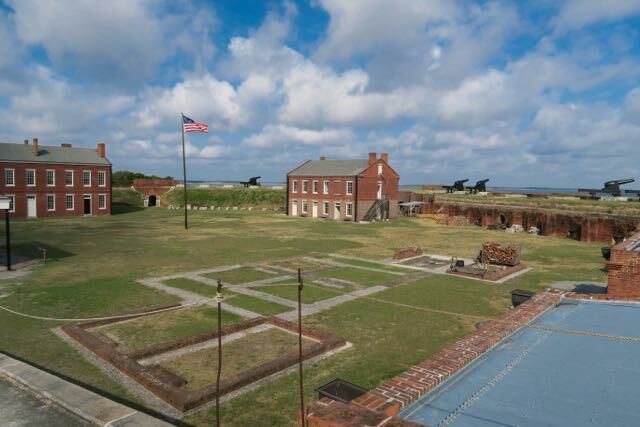 The fort was then seized by Confederate forces in 1861, and used by confederate blockade runners during the first year of the Civil War. In 1862 General Lee abandoned the fort. Federal troops then re-occupied it later that year. 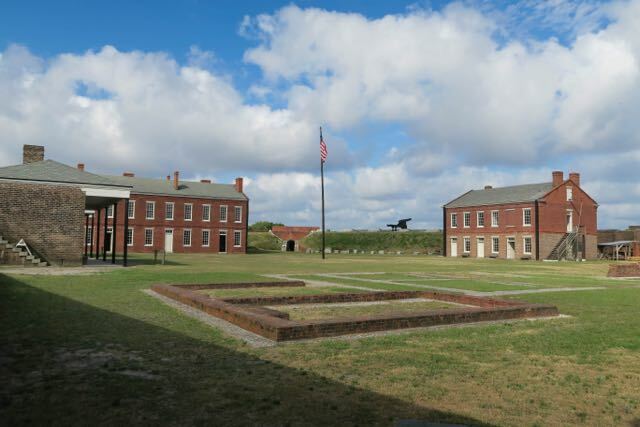 They used the Fort as the base of Union operations throughout the Civil War. 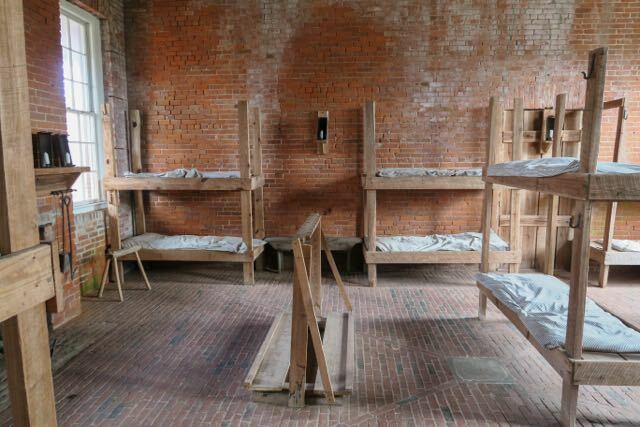 The fort was empty and run by a caretaker from 1869 to 1898, when it was re fortified during the Spanish-American war. Later that year it was abandoned it yet again. In the early 1930’s, during the Great Depression (1929-39) the Civilian Conservation Corps set to restoring the fort to Civil War condition. In 1935 the State of Florida bought the fort and 235 acres surrounding iy. They then opened it to the public in 1938. It was actually closed to the public again, and used during World War Two (1939-1945), and then opened up to the public again afterwards. Pretty cool. Here are some pictures I took at the fort on my little Canon. The full album is available on my facebook Artist page if you want to see inside the fort and the rest of the trip. This entry was posted in Places. Bookmark the permalink. Trackbacks are closed, but you can post a comment.